Microsoft's chairman, co-founder and former CEO admitted the tricky combination of keys used to reboot machines was not well thought out. The hand-stretching command that is sometimes referred to by computer geeks as the 'three finger salute,' is used by many as a last-resort when trying to stop programs from running. We are confident that Bill Gates is a brilliant guy, but he just admitted to something that the entire world has known for decades. Forcing early computer owners to simultaneously press the difficult key combination of Control-Alt-Delete to log on to their machines was a mistake, the Microsoft co-founder said in an interview at a Harvard fundraising campaign posted on YouTube. 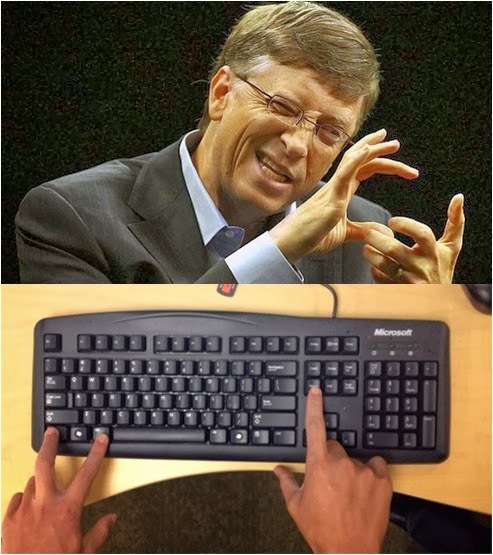 "We could have had a single button, but the guy who did the IBM keyboard design didn't want to give us our single button," Gates said, explaining that the tricky keyboard maneuver was made to ensure that other apps could not fake the login and steal passwords. "It was a mistake," Gates added. In case you're too young to remember, it's this hand-stretching key combo we're talking about. The gesture has also been appropriated for functions like rebooting a computer or stopping a program from running.